In general, meter accuracy is influenced by two principal factors: the physical performance of the flow sensing mechanism of the meter, and the appropriate sizing of the meter to fit the customer's consumption profile. Properly installing appropriate meters and maintaining them by testing and rotation should ensure a high level of accuracy of the customer meter population. Even under the best of conditions meters wear from long-term flow registration and eventually reach a threshold beyond which they will appreciably lose accuracy, some meter types deteriorating more quickly than others. Therefore meters must be tested, repaired, or replaced with new or refurbished meters (meter rotation) on a structured basis. 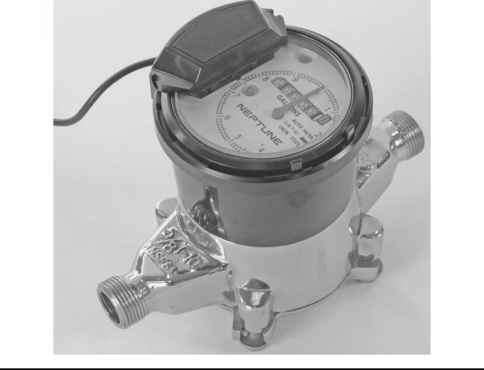 Historically, AWWA guidelines recommended that water meters be rotated on a set time schedule based upon meter size with small 5/8-in meters every 20 years and the largest of meters rotated as often as every 4 years. This approach has merits in terms of planning for mass deployment of meter rotation personnel and commensurate budgeting, planning, and so on. However, water meters experience different consumption patterns and, after 20 years of service, some may have lost appreciable accuracy, while others can offer many more years of reliable service. 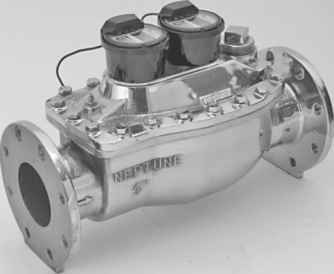 Rotating customer meters based upon fixed time intervals may have significant economic drawbacks, particularly in the large meter classes since these meters are expensive and require much more effort to rotate than small meters. The current thought on meter rotation strategy bases meter rotation scheduling on the cumulative water volume that has passed through the meter, rather than a fixed time interval. Cumulative flow registered by a meter is the most important factor in long-term accuracy of the meter. Targeting meter rotations based upon cumulative measured volume is similar to automobile maintenance, where the 3,000 mi oil and filter change occurs not at any set time, but only when the 3,000 mi odometer reading is reached. 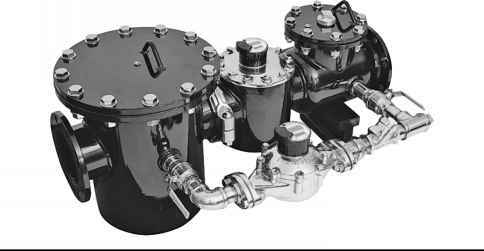 This approach can be more efficient since heavily used meters will see a timely rotation that will ensure accuracy is maintained, while lightly used meters will not waste resources by rotating the meters too soon. Decisions regarding meter rotation based upon cumulative consumption should be formulated in conjunction with crew deployment scheduling realities, since it may be advantageous to have crews rotate multiple meters in a given area all at the same time, even if some of the meters have not yet reached their cumulative volume target. Small meter rotation scheduling may be best guided by a combination of cumulative volume target and geographic proximity, while large meter rotations are perhaps better formulated around cumulative volume targets and the characteristics of the individual meters and consumption profiles. Davis describes an assessment conducted for the Metropolitan Domestic Water Improvement District, a small water supplier serving communities northwest of Tucson, AZ.2 The methodology included meter testing on randomly selected and high-cumulative volume residential water meters. Meter accuracy was plotted versus cumulative volume for individual low-, medium-, and high-flow rates. The best linear fit of the data was determined and the weighted meter accuracy was plotted versus the cumulative volume. Calculated lost revenue from meter inaccuracy per year was plotted versus the cumulative volume and economic analysis was used to determine the optimum cumulative volume for meter replacement. For the District, the optimum cumulative volume was determined to be 1,420,000 gal per residential meter. Prior to the assessment, the district was replacing customer meters at the relatively frequent interval of every 10 years. Many of the district's customer meters do not achieve 1,420,000 gal of cumulative volume in 10 years, therefore the district was able to implement a meter rotation strategy that greatly improved the cost-effectiveness of its customer meter management. How to go from individual water loss to cumulative water loss?